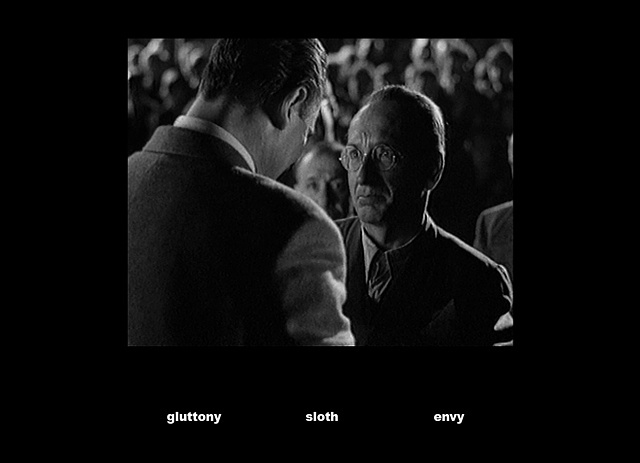 Playing Schindler's List uses the trope of the seven deadly sins to allow viewers to "play" scenes from the film Schindler's List. It disrupts the narrative arc of director Steven Spielberg's original film by isolating specific scenes and providing a non-linear, random and at times repetitive approach to experiencing the films content. By re-organizing Spielbergs cinematic material according to the seven deadly sins  at times questionably assigned  I emphasize key recurrent themes in Schindlers List: money and exaggerated human emotion. Created in conjunction with Mediamatic, Amsterdam using the Korsakow databased content system.